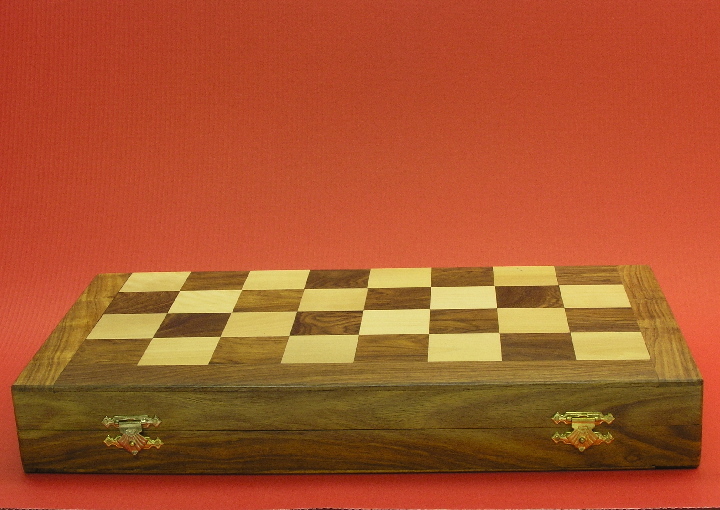 This product from Chess Baron: New! 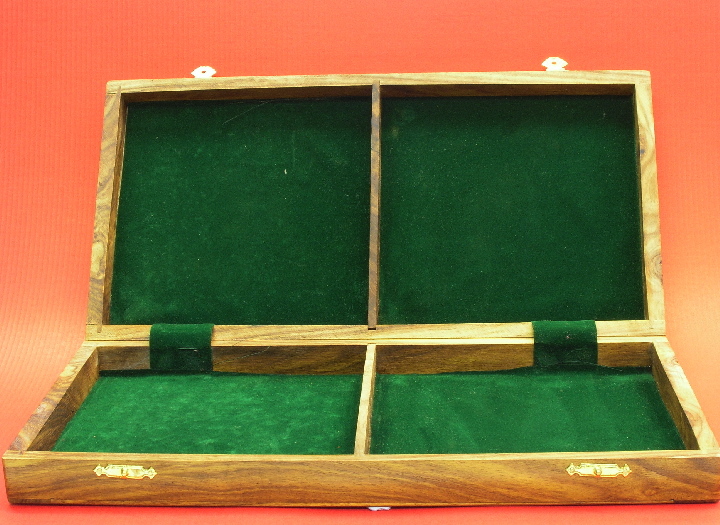 A 14 inch folding board that has interior space for its own chess pieces. Made in solid sheesham. Each square is 1.5 inches.